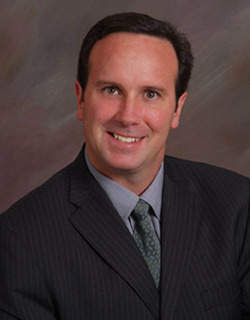 Professional Fiduciary Services is proud to have Richard Huntington, age 48, as a member of the group for over 9 years. He has clients ranging from 12 years of age to 102. Prior to joining the group, Richard worked 11 years for Costco where he gained valuable experience in managing people and budgets. Today, Richard serves clients in fiduciary capacities including: trustee, executor, special administrator, conservator, agent for durable power of attorney for finance, agent for advance health care directive, and trustee for special needs trusts. In addition, Richard is a well-experienced financial planner and asset manager, earning the prestigious Certified Financial Planner designation (CFP). The CFP examination is based on real life financial planning situations, passing the test demonstrates a high level of competency in financial management. Richard is highly ethical and qualified to act as durable power of attorney for assets and property management. In his fiduciary capacity, Richard manages both residential and commercial real estate properties, and is currently managing a medium sized family business. Coupled with his compassion and understanding of each client’s individual needs, Richard continues to serve clients with the highest level of integrity. Richard serves as moderator for Peter Kote’s “It’s Your Money” and “It’s Your Estate” workshop programs. He has been a featured guest on the radio show “Where There’s a Will, There’s a Way” hosted by Brian Berg and Howard Serbin to discuss roles of a private professional fiduciary. He is a graduate from California State University Fullerton (CSUF) having earned a BA in Business Administration with a concentration in Finance. In addition to earning Certified Financial Planner (CFP) designation, he also recently passed Level I of the Chartered Financial Analyst (CFA) program. Both programs require extreme focus and dedication to study. Richard has been awarded the Edward D Cunha Scholarship, CSU Real Estate Scholarship and Orange County Chapter of RIMS Scholarship. Further, as part of a three-student team, Richard was a finalist for the American Express Planning Invitational.